Welcome back, it’s been a while! 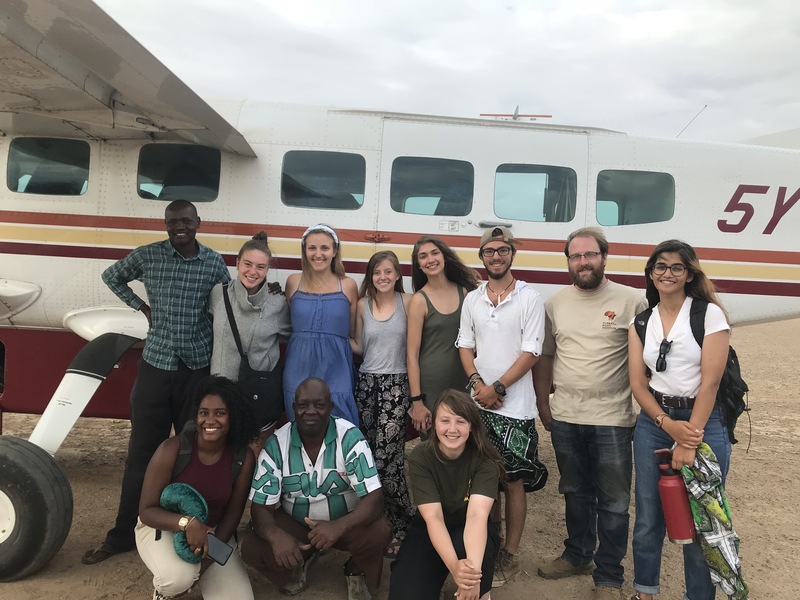 We have had a great time at the Lomekwi research and survey area over the past twelve days. 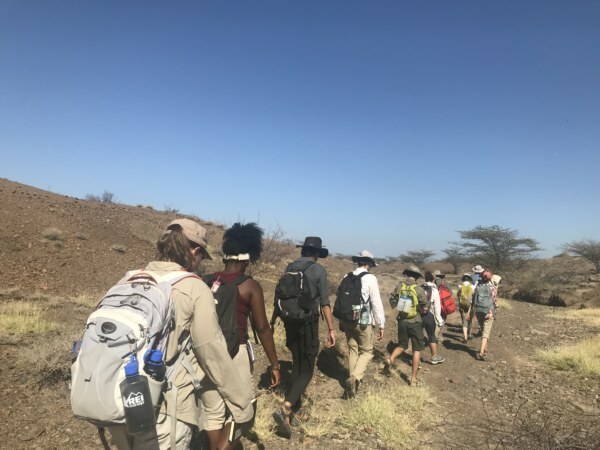 In the first week, we learned a lot about the earliest stone tools, human evolution, and learned more about excavation. 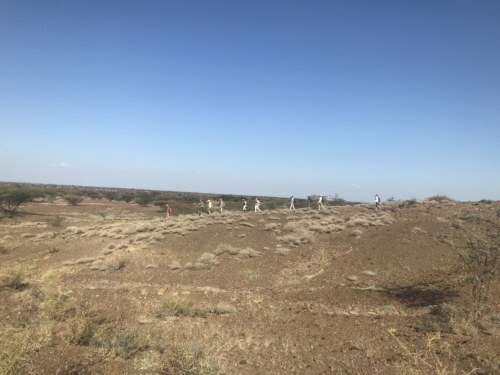 We spent time at the Lomekwi 3 archaeological site and excavated at some nearby archaeological trenches. On Monday, we left TBI bright and early and drove up to the Lomekwi research area. 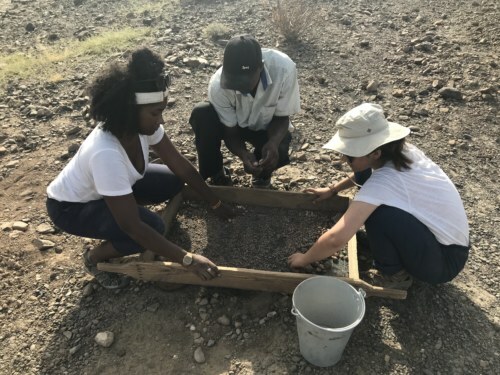 Lomekwi 3 itself is an active archaeological site whose excavation is directed by Dr. Sonia Harmand and Dr. Jason Lewis of the West Turkana Archaeological Project (WTAP). The WTAP camp is located by the side of a dry river bed, about a twenty-minute drive from the archaeological site. 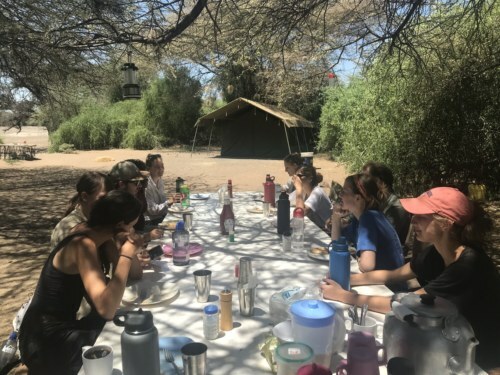 Having been invited to work alongside the WTAP team for the next several days, we pitched our tents at their camp, and took the rest of the day to settle in and become acquainted with the WTAP scientists, excavators and staff, who had already set up and been living at their camp for several weeks. The students sitting at our table in the Lomekwi camp. 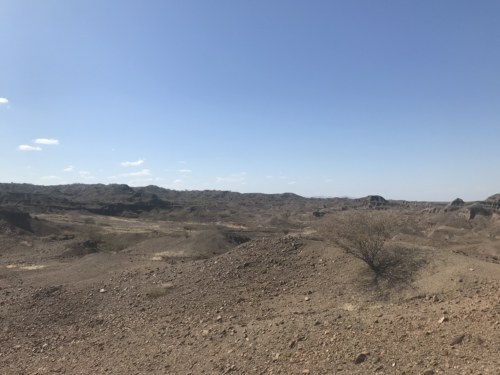 A view of the landscape around the Lomekwi archaeological site. On Tuesday morning, we headed to the Lomekwi 3 site. This site is famous as the findspot of what are currently the world’s oldest stone tools – dated to 3.3 million years old, these artefacts provide the earliest evidence for technology anywhere in the world. 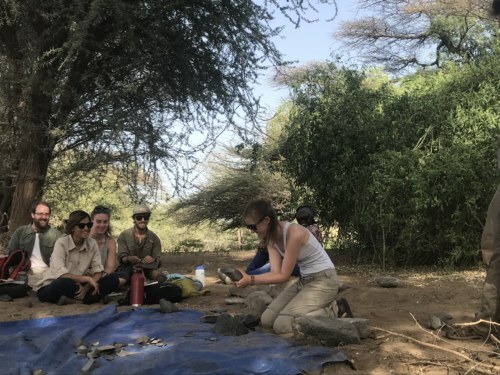 Lomekwi 3 was discovered in 2011 by Sammy Lokorodi, an expert fossil and stone tool hunter from Turkana who is a senior member of the WTAP team. Excavation of the site commenced in 2012 and has continued every summer since, with the exception of 2017. 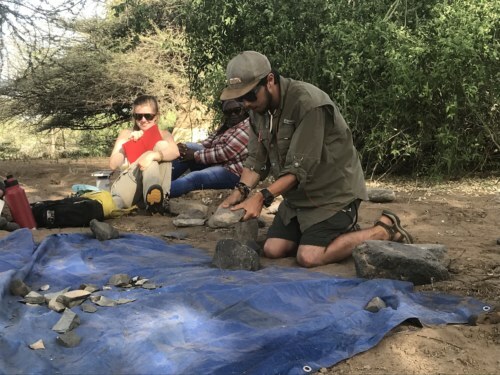 The stone tools recovered from the site are made of large, tough lava rocks that were knapped by hominins 3.3 million years ago and left at Lomekwi 3, became covered in sediment, to eventually be discovered by modern scientists. 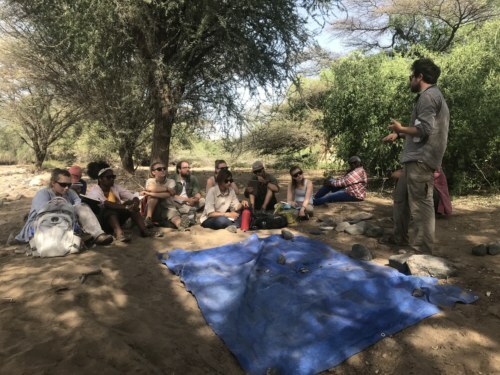 Directing the 2018 excavation, Dr. Nicholas Taylor – an expert in Stone Age lithic technologies – gave us an overview of the history of the site, of the stone tools that have been found there, the techniques of excavation used at the site (pickaxe/ hammer and chisel) and the results of the 2018 work. 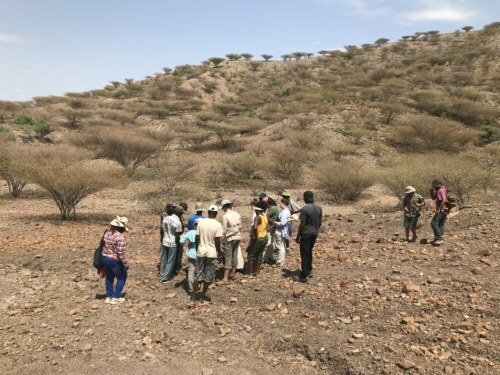 Dr. Lewis then gave an overview and tour of the local geology around the site, including a look at the key stratigraphic markers used to date the site and understand the local environment when the site was occupied 3.3 million years ago. Dr. Lewis explaining the geology of Lomekwi to the students. The students walking around the site looking for Lomekwian tools on the surface. A distant view of the students walking the outcrops at the site. 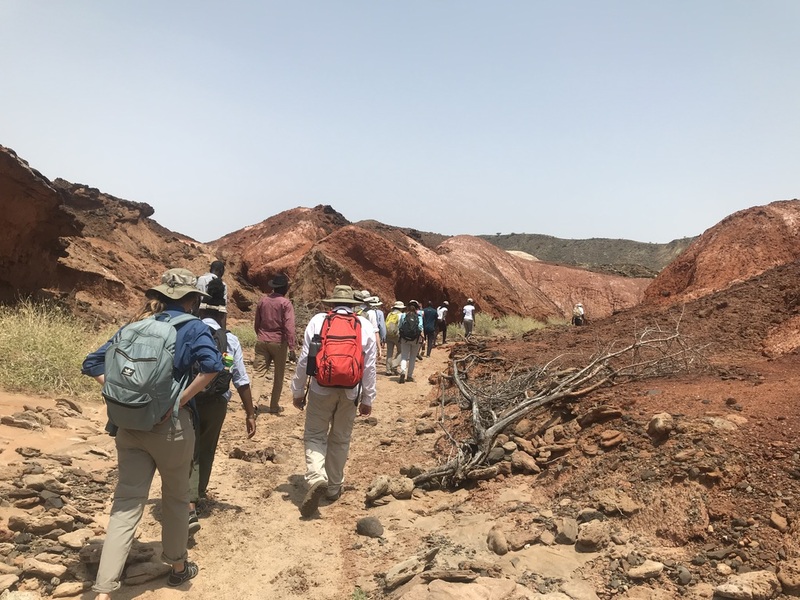 On Wednesday, we took a trip to the site where an important hominin fossil – Kenyanthropus platyops – had previously been recovered. This 3.5-3.2-million-year old fossil was found by Justus Erus, a National Museums of Kenya representative who was working with Meave Leakey’s team in 1999. Before going to the site, Dr. Lewis gave a short lecture in the back of our lorry about human evolution. We walked to the site and flagged all the fossils we could see, and then learned how to identify which animals they belonged to. Later in the afternoon Dr. Nicholas Taylor gave us a practical demonstration of stone knapping, in which we learned how to make stone tools using the same techniques used by the first hominin toolmakers. 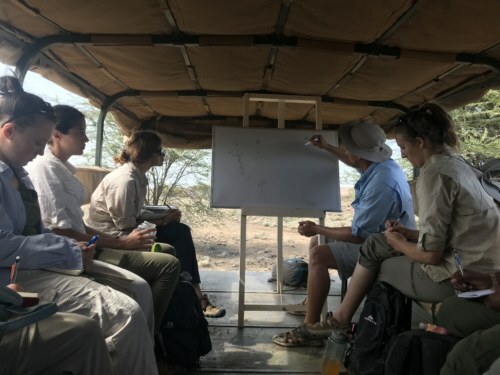 Dr. Lewis explaining the importance of the Kenyanthropus platyops fossil in the back of our lorry. 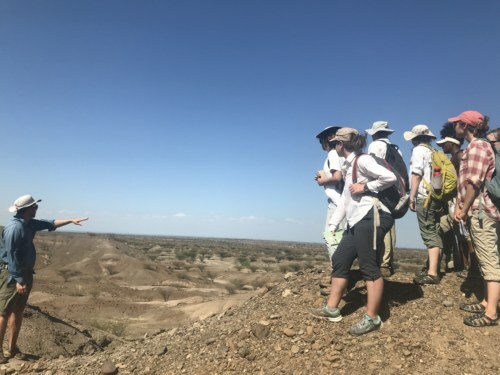 Our group looking at some faunal fossils on the Kenyanthropus site. Dr. Nick Taylor explaining how Lomekwian stone tools were created. Ian trying his hand at flint knapping. 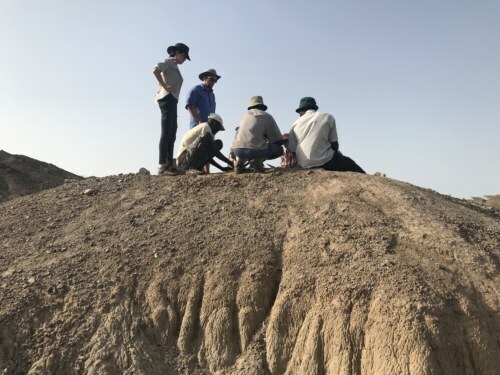 From Thursday to Saturday, we joined the WTAP excavation team who were now working not at the Lomekwi 3 site itself, but at two trenches located a few hundred meters distant from it. 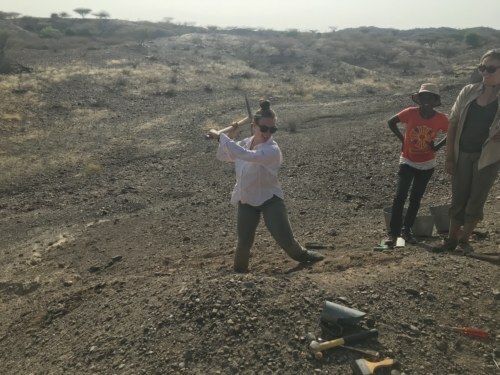 The sediments near Lomekwi 3 are very different from those at Nakwaperit, so we had to learn new techniques of digging. 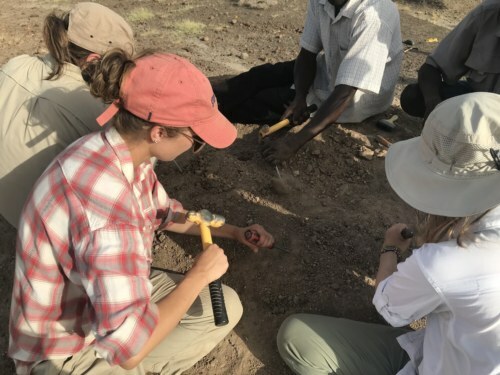 Instead of soft sand that could be brushed off, the sediments in the Lomekwi research area are mainly comprised of very dense, dry and hardened clays and sands, and so the students learned how to use pick-axes and chisels and hammers to excavate. 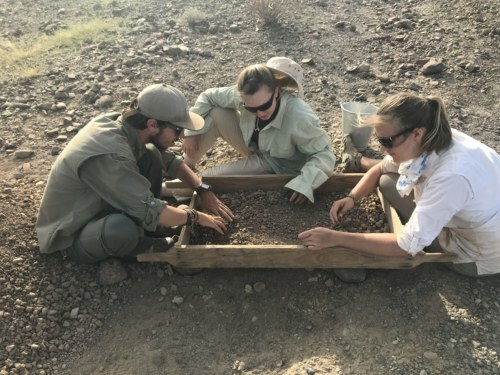 We all switched tasks between excavating the sediment and uncovering potential artifacts and putting the resulting dirt through a fine sieve to check that no artifacts or bones had been missed. Jess, Kristen, Abigail and some of the WTAP excavators working on a unit. Grace learning how to use a pick-axe. Keyly, Samar, and a WTAP team member at the sieve. 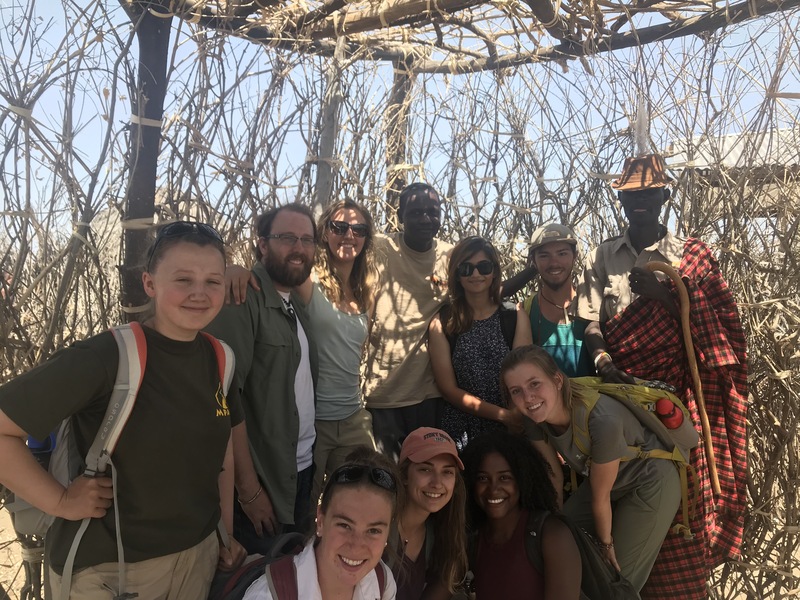 Since we spent such a long time in the Lomekwi area, the blog about our trip will be broken up into two parts, the second being published in a few days. 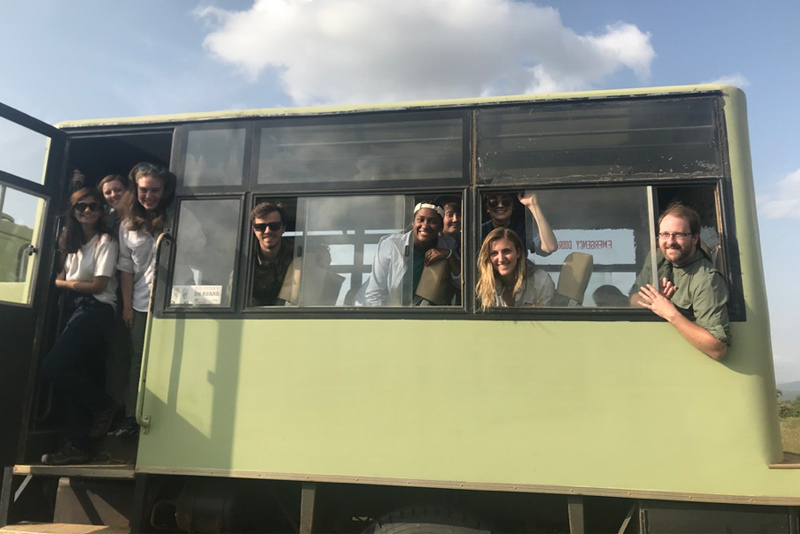 The first week near Lomekwi 3 was pretty awesome, we hope you stick around for part two of our trip! Ian, Kristen and Lucia sieving some sediment from the site. A view of one of the excavation areas at Lomekwi.